We’ve covered selling in a general sense and gone into detail about cross-selling, the next item on the list is upselling. With upselling, you’re selling a person a better, more expensive version of whatever they were initially planning on buying. If you’ve ever been to a movie theater or fast food restaurant, you’ve probably experienced upselling in the form of “For a dollar (or so) more, you can get a large.” You were already thinking of getting this meal anyway- the upsell increases the quantity of popcorn you were planning to get, and the movie theater makes more money. Back to the baby registry example I used in the cross-selling post, Amazon also has a subtle upselling option. You can see “Customers Also Viewed…” which will offer a similar product from different brands at different price points (I say subtle because some options are cheaper and some are more expensive). Another potential upsell on Amazon is the comparison chart that appears with some products. I definitely poured over these, and the reviews, when creating my registry. Again, just like with the cross-selling example, you can offer upselling options on your own website in a similar way. How does this create customer loyalty/retention? Knowing that you are eligible for greater benefits as time progresses increases the chances someone will stay on as a customer for longer (provided there’s already a value in the service/product). Additionally, the same article suggests upselling should be a win-win- your customer should feel like they are “winning” (but not in the Charlie Sheen sense). An example of upselling where the customer doesn’t feel like they are winning: when a cable company tells you you’re eligible for a month long trial for 100 extra channels (yes, please!) but you unknowingly stay signed on and have to pay additional fees the next month. Not cool, don’t do this to people. 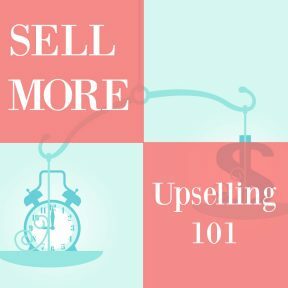 Unlike cross-selling, it’s a little trickier to upsell after the sale has happened (unless the customer decides to return their purchase for something more expensive, which is pretty inconvenient when you think about it). Here are a few ways you can help make the upsell happen. Comparison charts, videos, blog posts, and other methods to educate them about the difference between different products/services (and subtle justification of price differences) allows the customer to be open to be upsold. If you want to upsell your kayak tour consumers with optional $10 Otterbox rental and $15 gourmet lunch, it makes sense to bundle products together for a lower price point when it makes financial sense. Kissmetrics has pointed out that upselling happens fairly infrequently (4% of sales), but one of the ways to increase your odds is by recommending the most-sold items in your store. It’s probably a social thing- I will second guess my purchase if I see that the majority of people are buying this other thing. Even if I end up sticking to my guns, I’ll at least check it out. Upsells work much better for existing customers. A recent example of this is me getting up-sold on for Beachbody Coaching. I had been using their on-demand workouts anyway as a result of not being able to run, but when asked if I wanted to become a coach at a greater cost to get some additional perks, I agreed. Why? Because I already knew the value of the stuff I was paying for, so I was okay with paying a little extra a month for things I was already going to use anyway. To me, it was a win-win. Offer packages, including one very high end one. An example of this is from a pinup photographer in Texas who offers four packages from $450 to $2250. Her most popular package is $850, which people feel much less bad spending money on when they see they could be spending more than double that. Most consumers buy the mid-tiered price item so give them options. To implement upselling on your own ecommerce site, Woocommerce has a pretty straightforward interface for upselling (very similar to what they use for cross-selling, actually). Check with your ecommerce software’s FAQ section with how it is set up in your software. Set up an FAQ page to make sure people know exactly what they’re getting and can determine what is beneficial to them. Create a multiple choice “Should I choose X or Y?” Some websites do this with a quiz, others with a features comparison chart. This allows a side by side comparison of two (or more) options. Going through this process shows that you are invested in what the customer actually wants and what would work best for them: “Sell the benefit, not the product.” In other words, you may see the benefit for a person to buy the higher priced item but you may have to help them realize the value your product/service will add to their life. If you feel like creating a little mystery, allowing only certain people to buy a higher level item (think credit card companies with certain credit cards only a very exclusive group of people can apply for) can add to its mystery. There are certain ways to make your website work better for upselling. One way is to run A/B tests with different designs/copy and see which give more sales. This is called working smarter, not harder! Learn more about A/B testing here. In short, upselling is not a sleazy practice but one that builds customer loyalty in addition to benefiting your business. Back in January and December, I was spending a lot of time on Amazon trying to create a Baby Registry. As a first timer whose Mom didn’t necessarily use the internet to create a baby registry, I was on my own figuring this out. Fortunately, hundreds (or thousands) of moms-to-be in recent years have used Amazon to create a registry, so Amazon has plenty of guides for people creating a registry from scratch. One of the helpful tools that Amazon has as you are viewing a specific product is “Customers who bought this also bought…” (and “…also viewed” and “Sponsored Products related to this item”). As someone who needed a little bit of handholding during this process, this feature was greatly appreciated. It’s also known as “cross-selling,” or selling a different product/service to an already existing customer. If I was shopping on a specific brand’s website, cross-selling would look a little different. Say for instance I’m looking for a crib. Common cross-sells would be crib sheets, a blanket, and maybe a mobile. Other times you may have seen cross-selling in action include “Would you like fries with that?” and “Who wants to see a dessert menu?” (Guess where my brain is at today?). Your business may not be quite as big as Amazon, but you can still implement cross-selling techniques on your own website. 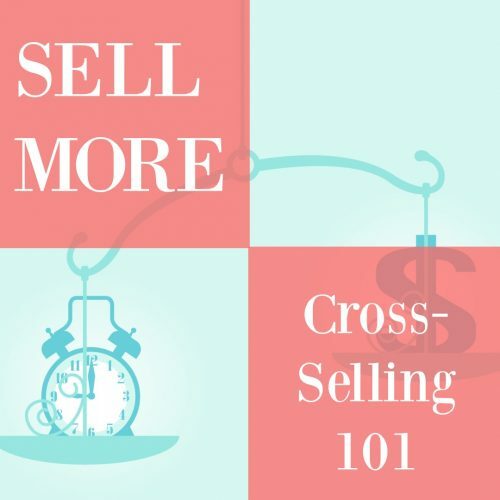 Since it involves selling to someone who is probably already a customer, or even in the middle of a purchase, cross-selling really is a “nothing to lose” scenario. In order to get the most out of your cross-selling , there are a few things you’ll want to keep in mind. First- cross-selling is relevant. If someone is buying a baby stroller, Amazon doesn’t offer a Keruig as a suggested purchase- they offer other baby products and/or different baby strollers by other brands. While you could argue that a Keruig is sort of related to someone gearing up for a baby, that’s too much of a stretch for a good cross-sell. This article suggests using “you” in cross-selling pitches, because it feels more personal. Amazon does this using “Recommended for You,” or in some cases, “Recommended for [your name].” My advice is to go with your gut on this one- during an in-person transaction, I’d probably feel closer to the sales-person and more likely to make a purchase if they were using my name, but knowing that a website is using an algorithm to produce my first name doesn’t elicit that same response (and some people are creeped out by this). Sticking with the general “you” might be the safer way to go. Shopify also offers the suggestion of adding products that people would generally be familiar with as cross-selling options, because it’s more likely more people will make a purchase if they know what the product is. Another tip- keep the cost of cross selling items relatively low. The actual suggestion is to keep the overall cost of the order within a 25% increase of the original order (i.e. whatever the customer was planning to order before adding on), while Forbes suggests 35%. Either way, that’s more money than you would have made otherwise. Odds are, your website is not as robust as Amazon (the idea of creating that website makes my head spin). However, depending on what type of cart software you have, you may have the ability to add cross-selling into your cart. Woocommerce comes built with the ability to add cross-selling options to your cart, whereas Shopify requires you to get an add-on app through their website. Investigate the software you use for ecommerce- it may require an add-on or already be built in, but it’s usually fairly simple to set up afterwards. This requires some data entry and thoughtfulness on your part, as you go through your products and think of relevant recommendations (remember- you don’t have to have a cross-sell option for each one of your products- just where they make the most sense). Don’t be afraid to think outside the box here, either- you can cross-sell services for your products, too. For instance, if I were purchasing a crib, maybe the cross-sell service would be delivery + assembly for people who live within 25 miles of the store. Other examples of services you can add to products include 24 hour support, 1 year warranty, insurance, and so on. Even if you don’t have a product/service on your website that you’re trying to sell, you can still offer something similar. A lot of the blogs I read will offer suggested posts based on the one I’m currently reading, and they’re usually related to the topic at hand (it’s also a great way to remind people of your older content). If you have a Wordpress website, WP Beginner suggests these 5 “Related Posts Plugins” that can set this up for you. 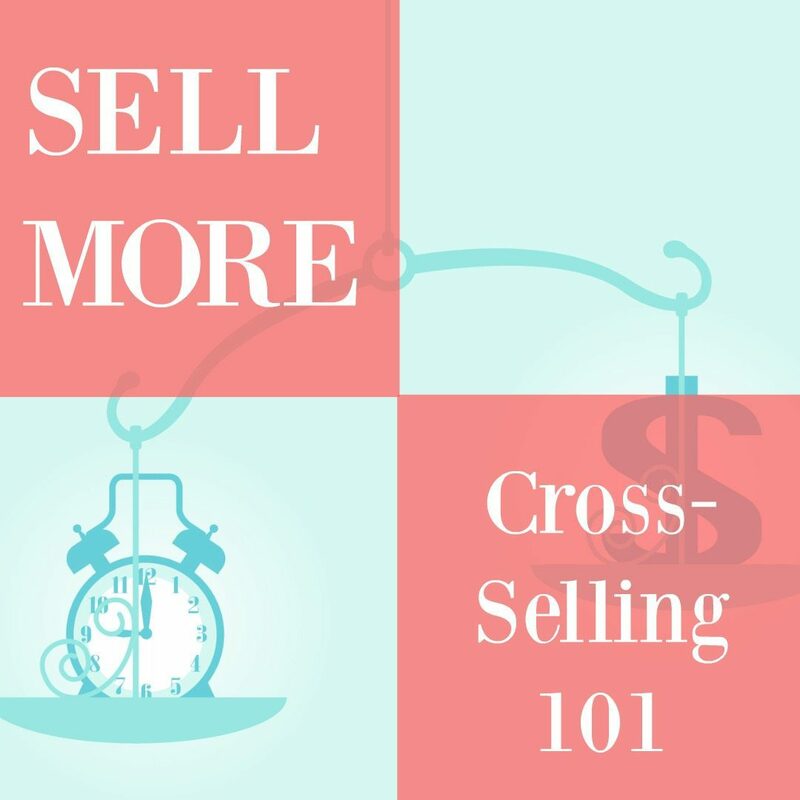 Although cross-selling typically happens as a person is shopping or as they are checking out, there is still a chance that they’ll be interested in a cross-sell after the fact. This can double as a customer service follow-up after a purchase. For instance, if someone buys a lawnmower from you, sending them an email newsletter following up about the quality of their product is never a bad idea. You can include some cross selling items in that newsletter, such as a bagger that stores the cut grass as you’re mowing. Maybe at the time of purchasing the customer didn’t see a need for this, but after a few weeks and seeing the email they will think, “Hmm, I have had to spend a half hour raking after I mow, this could really cut down my time…”- in other words, the value is now apparent. This isn’t quite the same as a checkout cross-sell, but you get points for customer service follow up and it’s a good chance to get customer service points, and you may make another sale. Stay tuned for more posts about selling more online this month! I am in my usual ‘fall as new year’ kick and have been following the Whole30 for about 4 days. Last night, in an attempt to crisp up green beans so they would function even a little bit like the crunchy snack I actually wanted, I realized to get through the next month, I’d have to get a lot more into seasonings. Videos are oftentimes short and look delicious. Vine (and share) worthy. FlavorGod often has flash sales. I even saw a Facebook ad (which I forgot to screenshot) telling me I had 13 minutes to act on a package deal. When things are constantly available, there is not incentive to act. By periodically retiring and re-releasing spices, Flavor God not only has new things to say but allows his customers to act. I am pretty clear on Flavor God’s value proposition. His spices are larger, freshly made, endorsed by celebrity chefs/bloggers and otherwise seem different to what is readily available at the supermarket. Part of the value proposition is the fact that Flavor God spices are larger than major brands. Flavor God regularly illustrates what is valuable about his products, which justify a higher price point and the hassle of having to order them. Flavor God regularly not only posts tweets but photos of his customers with the product. Not just celebrities but also normal people and tags them when possible. What first stood out when I began following Flavor God was his borderline aggressive emoji use. Here’s a recent Instagram post to show you what I mean. Did Flavor God have to go through extra trouble to make vegan approved seasonings? Maybe, maybe not. But by communicating they work with a vegan diet, he is attracting those customers to his store. By being attentive of the current popular eating trends (gluten free, Whole30, paleo), he is able to have a product not only make food taste better but address the needs of the different dietary communities. What I love the most about Flavor God? He asks for the sale. He regularly gives his online store’s URL, he asks people to buy, and even reminds people that he ships worldwide (and other potential barriers to sale) in just about every post. He doesn’t ask once (like some of us writing this blog) and feel too embarassed to ask more than once in awhile. he asks, regularly. He answers the same questions over and over, with a patience and enthusiasm that’s admirable. Flavor God, I’m going to buy some of your stuff. Your online marketing is certainly impressive! In our first couple blog posts of the series, we discussed the basics of online sales and what to consider when selling products. Selling tangible objects seems pretty straightforward, but what if your business a) is a venue, like a community center or stadium, or b) puts on a certain amount of events (or, as I like to call them, funtivities) each year? It’s not the same as selling a physical product on an ecommerce site. I only recently began to appreciate the many considerations of online booking when working on booking for Anchorspace this past month. 1) How does booking work? There are two ways we can think about online scheduling. Option 1 is a “Class” event (there is a set number of attendees in one space). Say you’re a higher education institution or a local YMCA. You have multiple instructors offering all sorts of classes at various times, or just one or two classes going every six months. Or, maybe you’re a business like us, and offer a workshop once or twice a year that has roughly 30 spaces open. With this type of scheduling, you want the registration to stop once you reach the desired number of participants. At Anchorspace, for instance, there are 4 desk spaces available to daily users. It’d be inconvenient (and not to mention confusing) to have people signing up for the space even after the four person limit. The other event type is a “Booking”- perhaps a “book now” situation for car maintenance or a haircut, or renting a bowling alley for a birthday party. This is more about attributing a certain time slot with a certain place/person, regardless of numbers. As the business, you don’t need to sell a ticket to each individual coming to the bowling alley birthday party- you just need to indicate to others that it’s already being used at that time. An example: the conference room at Anchorspace is available for booking every hour. We don’t need to know how many people will be using it (I mean, after 10 people elbow room becomes a concern), just whether or not it’s available from 10 a.m. to 11 a.m. Discerning between these types of events will help narrow down the scheduling software that makes the most sense for you (some handle “class” types better than “booking” types). 2) How many people can attend? Selling tickets for a rural high school’s prom is a slightly different experience than selling tickets to a Patriots playoff game at Gillette Stadium. If you have tens of thousands of people purchasing tickets through your website, you’ll want to invest some money in a program that can handle that amount of traffic. A smaller venue probably doesn’t need quite as much attention, and can get by without all the complex bells and whistles. 3) How often does this event occur? Is this a “one and done” event (sports game, New Year’s Eve Party) or recurring (a horse drawn carriage tour that leaves every two hours)? Certain plugins, like Tickera, are intended solely for “one and done” events. Maybe you’ve seen this in action, like a Bonnaroo 2015 site or Wordcamp Boston 2015. These events happen once a year, and often have their own website (though it may be linked to something larger). Other plugins, like Events Manager, are made for recurring events, or businesses that host multiple events. With Events Manager, you can display a calendar in the widget area in the sidebar, along with your top 5 (or so) upcoming events. The example below is from the Grand Ole Opry. As you might guess, they have an event almost every day, and they have a vast number of users to accommodate in a buyer experience. Their event software is pretty robust and offers different viewing options to cater to the needs of many. 4) How does payment work? Do you want to require people to pay in full at the time of booking, or just hold their card information? (Remember, if you decide to take payment through your website, it’s important to have SSL and a payment gateway in place). Not all plugins integrate with all payment gateways- but there is something called Mijreh, a PCI compliant plugin that links ecommerce systems with payment gateways. As a disclaimer, I’ve never used this plugin, but have seen it referenced in my travels online and thought it worth pointing out. (Some places may have free events, but since this series is about selling stuff, I’m going to save myself some sanity and neglect such events for now). Next week, we’ll explore the topic of E-products! So you’ve gone ahead an invested in the creation of an ecommerce website, a place where your customers can buy your products online. Good for you! What happens sometimes, with a lot of smaller stores especially, is you’ve built it but yet the people are not coming. Why is that? Do people offline like your stuff? Here’s a reality you might not want to face but…. is your stuff cool? Useful? Do people buy it at trade shows, craft shows, in your store, etc. but just not online? If so, it’s probably just your actual setup and not your product. But if no one has ever bought from you and they aren’t buying from your online store, you might have a reality check to cash. The very smart Ramit Sethi said this example once in a seminar (I’m totally paraphrasing.) Show a room full of people your product, tell them the specs and the price and you’ll have a room full of people who say they want it. Now tell them you have a supply with you and you’ll sell it to them right now. The people with their hands still raised after the second question are your customers and the people you actually care about pleasing. Do people know you have an online store? You can have the prettiest little website but if no one knows it’s there, you will get no sales. What are some simple ways to raise awareness you might not have gotten around to yet? Put up the web address in multiple places at your physical store location (maybe even on your shopping bags or flyers you put into bags). Tell each person who leaves your store to visit your online store. Put ‘Check out our online store’ with the QR code linking to your website in your window. Once a week or so link to a product in your online store from your Facebook page, Twitter account, Pinterest account, etc. Tell people until you think you sound like a broken record. Because you might hear yourself talking about it all day but your customers don’t. As you see, you can say ‘buy stuff; without flashing red letters. Make this idea of you having an online cart super obvious on your website and at your store location. Is your store easy to find online? Can you compete with Zappos if your Lamey-Wellehan? If you’re local and have what I want you can! Getting more links into your site: Try to get more links. Are your vendors listing your website as a place to purchase their products on their website? Many retailers have something like a store locator and will list you for free. You can also use social media, blogs, online directories, and more to get more links into your website. Make your website search engine friendly: Do you have unique page titles? Detailed product descriptions with keywords people are searching? Search engine friendly links? A blog you update regularly? Is your store easy to navigate and use? Find three people who would be your target customers (fitting age and other demographics) and offer them a gift certificate or some other small offering in exchange for watching them navigate your online store. Is there one point which they get hung up on, like the product search or how to get back to the shopping cart after they’ve been browsing? It may be (and probably will be) painful to watch but you will learn a lot about your website. If you can’t bring yourself to do this, look at your website analytics (statistics). Is there some page on your site a majority of people are exiting on? Do you have a lot of abandoned carts (people who have put things in the online shopping cart and never finished the checkout process)? Take steps to make your website easier to navigate based on the feedback you get from real people and/or your stats. Adding a search box, linking sizing charts to every product, streamlining your checkout process are just a few ideas. You will generate ones that are useful for you in watching your three people and looking at your web analytics. Why should someone buy from you? This might be the most difficult idea for any small business. In a world of Amazon.com, how are you supposed to compete? Free shipping over a certain order amount and offering excellent customer service is pretty standard in terms of what people can expect online. What are some other ways you can stand out? Occasional loyalty discounts in the way of coupon codes. This can be done via the email database that’s stored in your online store. Custom creation/sizing made to order. J Hilburn makes custom mens’ shirts this way. People are more conscious of green products, made in the USA and other product information. When you visit Sailor Rose, you know it’s made in the USA… and are prepared to pay more accordingly. Let people get to know you. Emerson Salon posts before and after pictures of clients and lets people meet the stylists online before they even book their appointment (which you can do online- carts don’t just need to be for people selling goods you know!). Do a bit of detective work (what the industry is doing) and soul searching (what you want to do) and see what you can offer in addition to your unique products without killing your bottom line. Please note your offering doesn’t have to be expensive, just unique and unexpected. I once got a handwritten thank you note from our payroll company which probably took them all of two minutes to write but it was so memorable and nice). So pick your unique thing then publicize the heck out of it. I (and many consumers like me) don’t mind paying a bit extra to get something unique or even just to support a smaller business… I just don’t want to have to pay $25 in shipping on a $25 purchase to do it. So use your online store to its full advantage and you too can make your money in your online store! Ecommerce software: You need some sort of software to handle items (photos, descriptions, etc. ), track inventory, calculate shipping, etc. Something like BigCartel can handle this pretty well for a monthly fee (starting at $10/month) or you can pay a web designer a one time fee to set it up. (The going rate seems to be $500 and up.) Note: I’m talking open source (re: free) software and paying only for the web designers’ time to customize it. Merchant services if you want to accept credit cards. Many use Paypal to get around these fees but the downside is, of course, people being less likely to buy if you only have Paypal. A domain name ($10ish/year), web hosting ($5/month or more), and a website to put the ecommerce software on. This will depend on what you decide in terms of shopping software. Some, like OS Commerce, can run a whole basic website while other software pairs with a content management system like Joomla or Wordpress. You can see why most people who begin by wanting a shopping cart decide to hold off on it in the end! A lot of decisions and seemingly getting nickeled and dimed with fees. So what are my crafty but frugal friends to do? I have sent a few to Etsy.com. Don't want to pay to develop your own shopping cart for your artistic products? Etsy is a good alternative. 1) Set up a profile and pick a store name. Connect your account with a credit card. 2) Load products (20 cents/product) to list. 3) Publicize and ship out any orders you get. And that’s it. Well, except for creating the products, answering potential buyers’ questions, and publicizing your store of course. In other words, Etsy is an affordable, relatively easy way to test the waters of ecommerce with your art. Bonus is the ability to track item views and having the possibility of being listed on the front page of Etsy.com with a featured product, resulting in exposure to millions of people looking to buy handmade online. So to those of you making things that don’t know how to get them online, try Etsy and let me know how it goes!